Skin cancer is by far the most common type of cancer. Early detection is the key to increase the chances for successful treatment significantly. Currently, Deep Neural Networks are the state-of-the-art results on automated skin cancer classification. To push the results further, we need to address the lack of annotated data, which is expensive and require much effort from specialists. 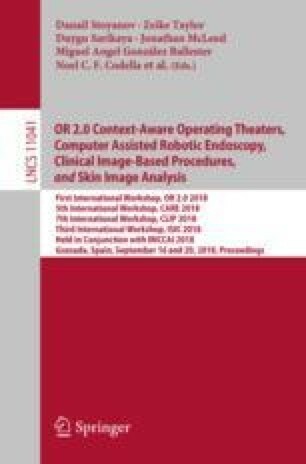 To bypass this problem, we propose using Generative Adversarial Networks for generating realistic synthetic skin lesion images. To the best of our knowledge, our results are the first to show visually-appealing synthetic images that comprise clinically-meaningful information. We gratefully acknowledge NVIDIA for the donation of GPUs, Microsoft Azure for the GPU-powered cloud platform, and CCES/Unicamp (Center for Computational Engineering & Sciences) for the GPUs used in this work. A. Bissoto is funded by CNPq. E. Valle is partially funded by Google Research LATAM 2017, CNPq PQ-2 grant (311905/2017-0), and Universal grant (424958/2016-3). RECOD Lab. is partially supported by FAPESP, CNPq, and CAPES.